An end to Jakarta's water woes? A court victory has rewarded civil society efforts to end water privatization in the Indonesian capital but many questions remain unanswered. Febriana Firdaus reports. 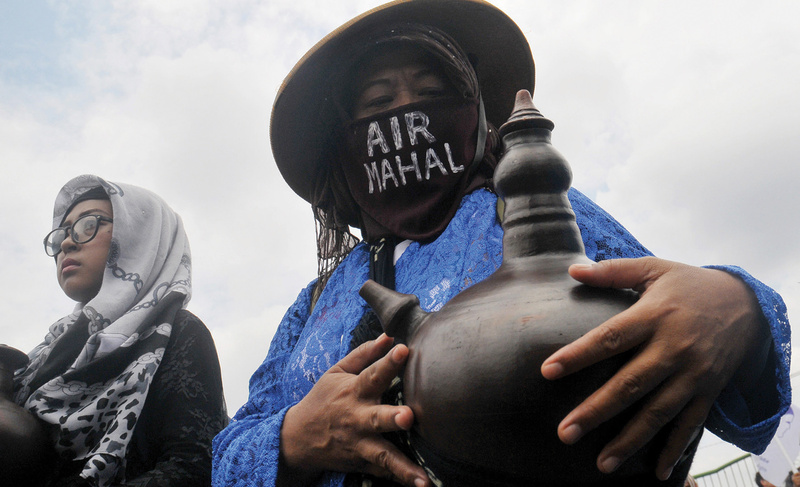 Displaying a traditional water jug, these women join a rally against corporate control of the water supply in Jakarta on International Water Day. 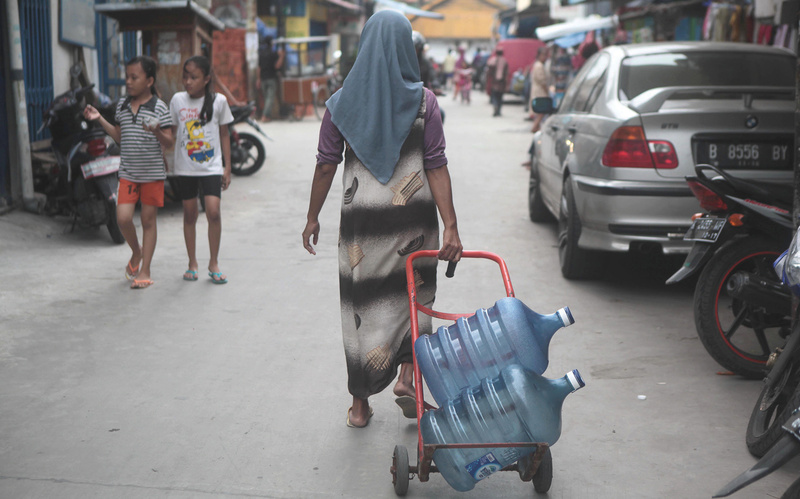 A drinking water vendor sets off, looking for customers in Jakarta’s poorer neighbourhoods. 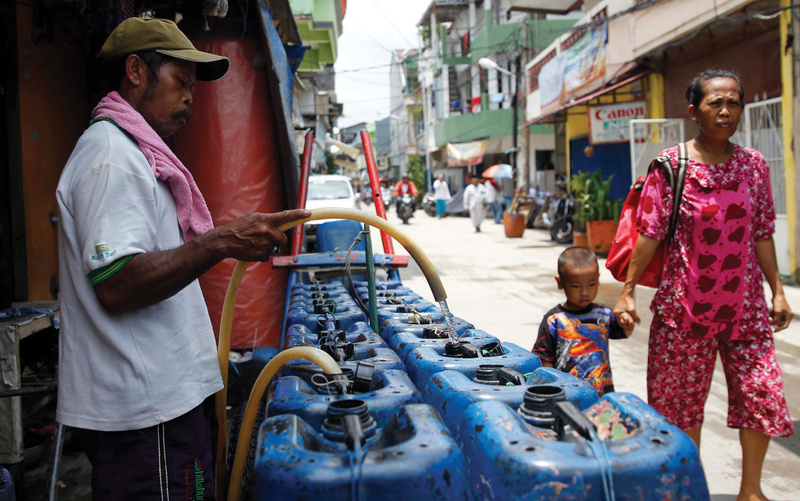 Filling up at a pump station, before he delivers water to sell to residents in Jakarta’s slums. 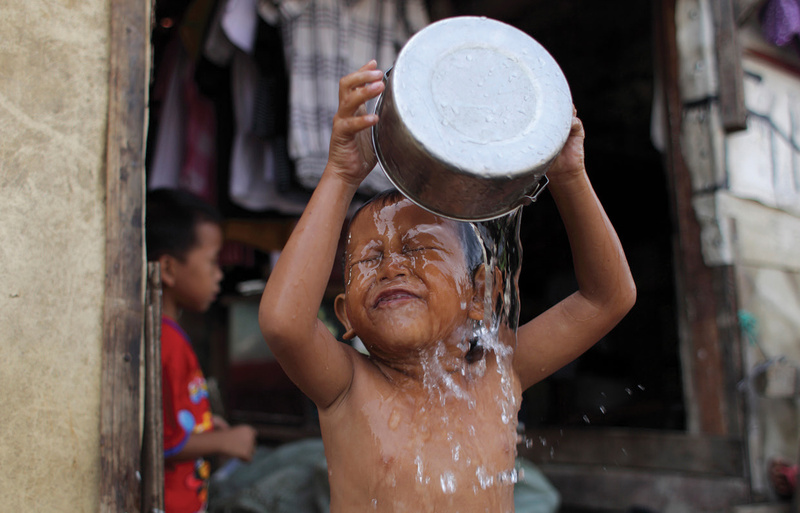 Four-year-old Rizky bathes with a can-full of water.